This week has been a fast one and I’m struggling to get my head around how quickly this week has gone. I spent most of Thursday doing some admin to make Moral Fibres compliant with the new GDPR laws which come in to force in May, which are all about data protection. From now on in, when you want to leave a blog post comment on Moral Fibres you will need to tick a little consent box to say that you are happy for me to securely store your data. Anyway, enough of the legal chatter, on to the week’s links! 1. What a week it has been for environmental news! The huge news, in case you missed it, is that Iceland (everyone’s new favourite supermarket!) is ditching palm oil from all it’s own brand products by the end of this year, saying, quite rightly so, that there’s no such thing as sustainable palm oil. This is in combination with it also ditching plastic from its own brand products. 2. Waitrose is also doing away with disposable cups in all of their stores, by autumn. I find it a bit incredulous that Iceland can do away with palm oil by the end of the year, but Waitrose need until the autumn just to ditch disposable cups, but hey, it’s another small step forward. Waitrose has also announced the plan to stop all black plastic in their packaging imminently. Black plastic is notoriously difficult to recycle, so it’s another step in the right direction. 3. What the ‘Made In Italy’ label on your handbag might be hiding. 4. 2018’s dirty dozen is here. Strawberries, always the pesky strawberries. 5. What happens when you leave excess plastic packaging at the till? 6. Move over Nespresso, plastic-free eco-friendly coffee pods that can be composted at home or in your food waste bin are here. They are sold out on the link provided in the article, but I’ve tracked them down on Amazon* and the Fresh Coffee Ltd eBay store*. 8. What microplastics look like under a microscope. 9. An interesting take on the Facebook/Cambridge Analytica scandal: you should be paid for your Facebook data. “For Facebook users furious about the Cambridge Analytica data scandal, there are currently two options to protest and protect your data: stay and have little control over your data privacy, or leave and forfeit the convenience and connectivity social media brings. The return waste-plastic seems only fair to me, and a clear signal to supermarkets. Because I’m living really, I’m guessing home-delivery ( picking an eco-slot) is the most environmental friendly option to me. But even then, I’ve only been brave enough once to unwrap the plastic with the delivery guy waiting. .
I’ll be trying the macaroni no cheese :D thanks for the link. 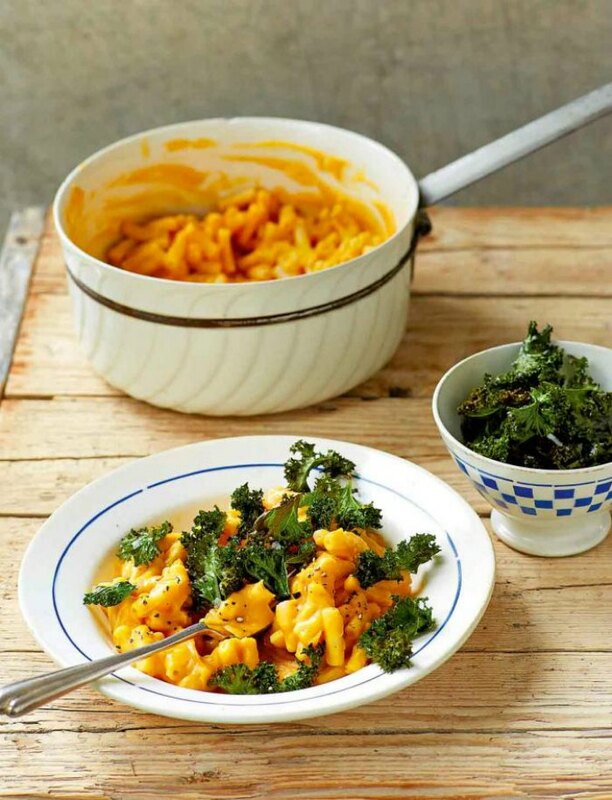 I like that it has so much more goodness in it than traditional mac’n’cheese!